We had a good turnout on Saturday! 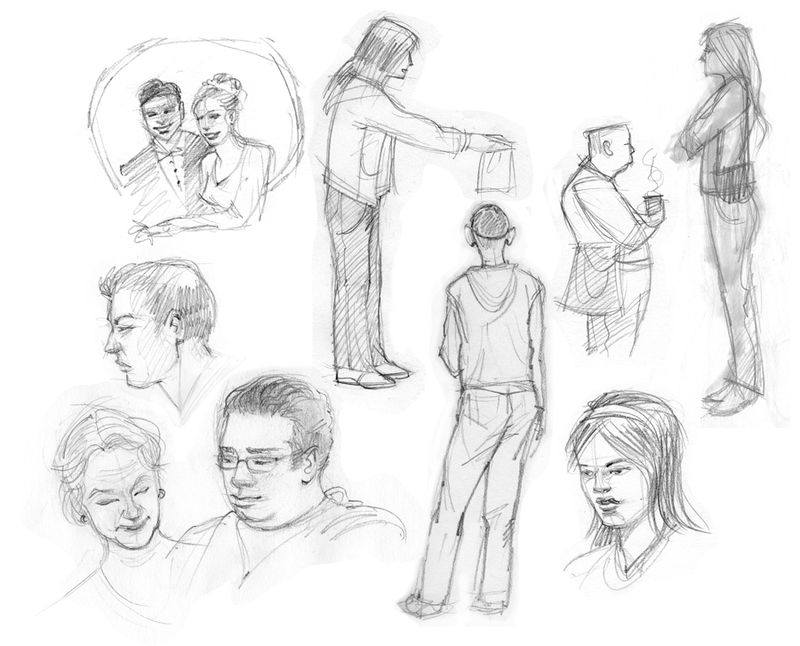 Six people joined in as we sketched at Roma Bakery, the City Market and the Potter Park Zoo. So I was unable to go out with the others as I had to work - photographing the Michigan State football game. It wasn't much of a game in the second half and I wished I could have sketched more. But I managed to do three quick ones. First is a view of the stadium from the press box. Second is just a quick outline of the Lansing skyline from the press box. Third is the TV camera located in the north end zone which I sketched during half time. These are little more hurried than I like to be, but it was fun. I am hoping I can join the others on the next one. two very different and great set sketches .I really like the people in the first drawings . You have captured their characters inthe linework. 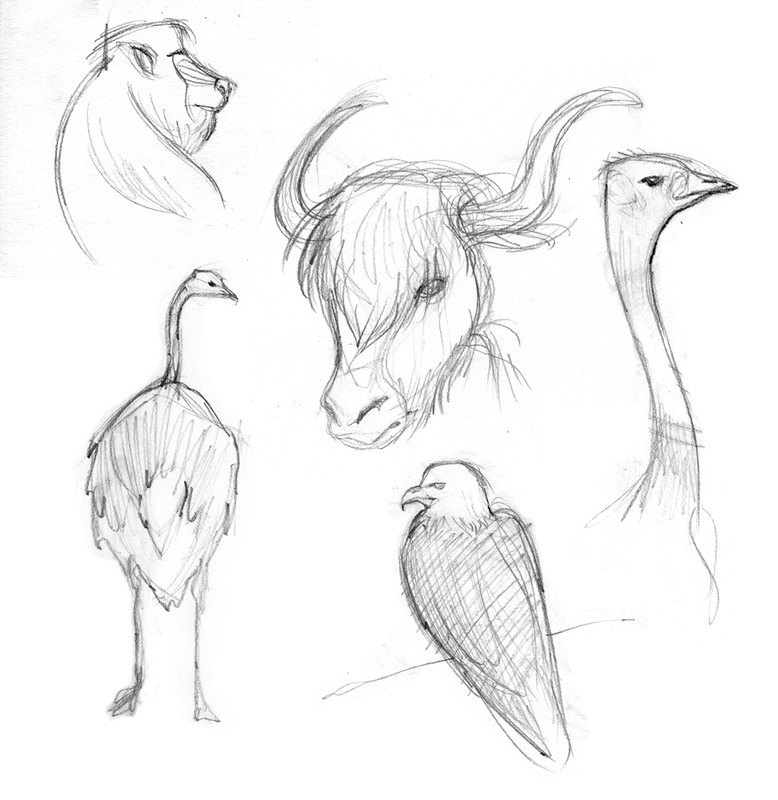 Chickpea - Great people sketches...animals too! rhendricks - Glad you found a way to do the sketchcrawl anyway!! Fun sketches. Finally I'm home and now I can share my sketches from the Marathon. Thank you all for being so nice at me that time. Great work! I love the line art and the colors.